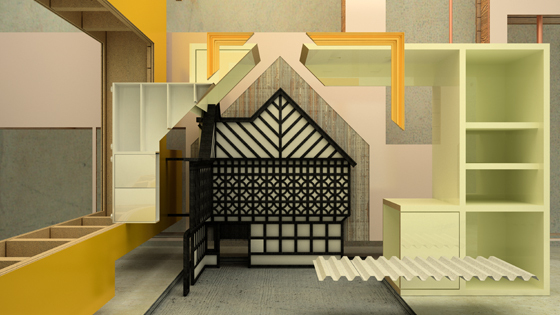 While the notion of impossible objects would seem to refer only to the sculptural aspect of an XYZ representation, this term also connotes their post-photographic quality. Impossible objects in the XYZ realm are manipulated in the real-time of the software program in which they are produced for the purpose of creating computer-generated images. In this way, a virtual XYZ world can only be perceived by a computer's two-dimensional documentation of it. They are therefore a hybrid of sculpture with the trajectory of drawing and painting, while at the same time are a hybrid of sculpture with photography. Post-photographic simulation is therefore "impossible" and inauthentic by its very definition. This sort of impossibility bring virtual worlds into the realm of the non-site in Robert Smithson's sense3 and as such evokes a particular physiological response on the part of makers and viewers. Impossible objects are paradoxical on many levels and could NEVER be constructed, but can nevertheless be output as trompe l'oeil realistic pictures, moving or otherwise. They are meant to be seen as virtual images that have visually schematic qualities related to illustrations or paintings. They have a seamless perfection inherently different from a photographic capturing of the real. Yet they portray objects that cast photo-realistic shadows and use photo-realistic ambient lighting with accurate reflections and highlights. Virtual photos and films create sensory impressions that force a viewer to assume that the objects and worlds depicted must have some sort of tangible existence - although they could not and do not. What emerges are pictures of sculptures in the tradition of René Magritte. Post-photographic simulations are Surrealist mind models with an uncanny relation to the real that on close inspection actually transgress the rules of perception, gravity, time and space. This makes impossible objects the ultimately "true" embodiment of the recursive systems that are the basis of computer science. They are systems that self-reference and build off of themselves but can originate from ANY assumption, no matter how improbable. Free and ubiquitous 3d models of handheld materials (tactile icons) are set to an illusion of monumental size inside a rendered gallery room experienced only through documentation. 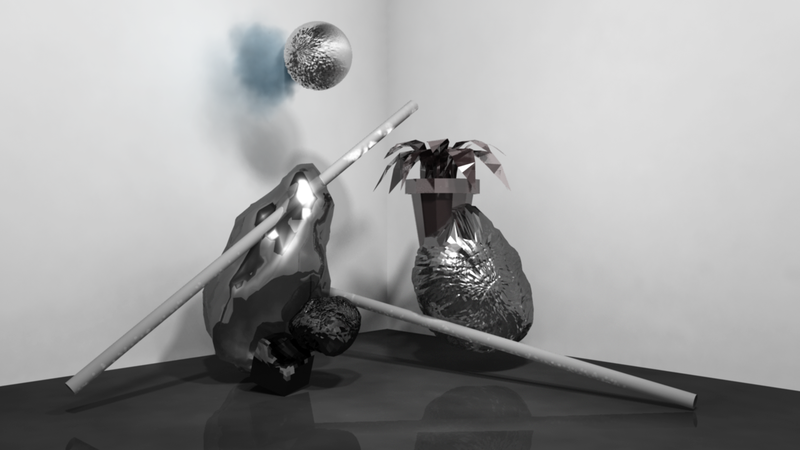 A single blob of clear plasma moves through this selected sequence of forms, and the walls of this alleged room are skinned with synthetic abstract imagery chosen in an attempt to resemble the form's usual apparition, much like 3D modeling software in which an image skin is applied to give the naked form a recognizable appearance. Like an alien interpretation of essential devices, this presentation takes on the workings of an impossible trap. It suggests that there is a relatable and profound tactile or visual experience to be had, if only one could access the dimension in which to have it. 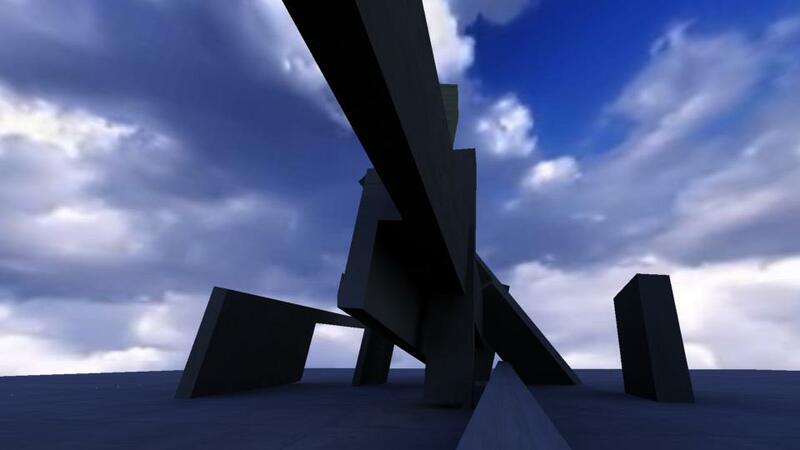 The video is a representation of unseen forces acting on geometric objects being arranged in architectural formations. The title of the series from which this animation is drawn, BAS Arquitectos, stands for Bifurcated Acoustic Space, in which the architectural objects illustrated in the video represent the spatial as well as concrete elements that define the medium. The Venus de Milo has become more of a noun and less of a sculpture. TMRRW combines predictable and unpredictable change in order to form a cubic time capsule of future artifacts, through mapping the course of natural disasters, desiccated resources, science fiction, and myth. The resulting guided tour of The Last Gallery simulates potential documentation of the past, while simultaneously proposing precursory relics. The real (as opposed to the possible) gray Phong shader flowing over default face geometry. 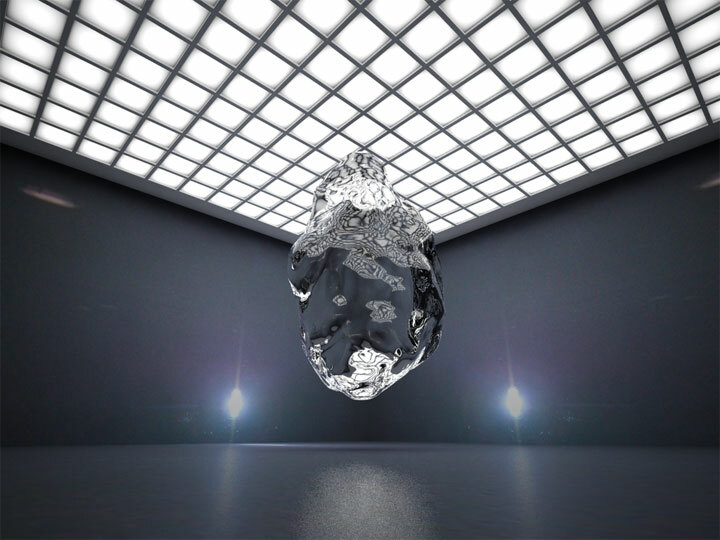 Primal-object-money-shot at the intersection of signified wealth, power and technology; simulated at a 55 degree angle. 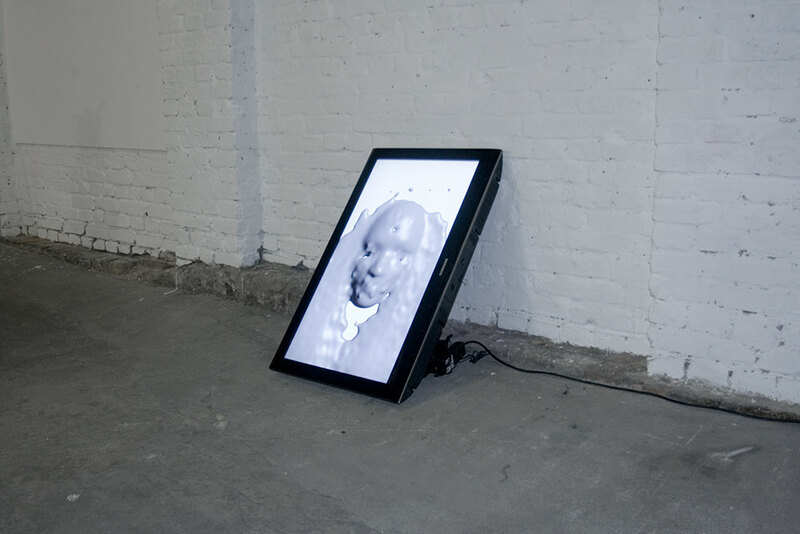 Simulating a gallery within the artwork, Peripetics examines contemporary art-practice by use of ubiquitous 3D computer graphics (CG). The title and description are part of that mimicry: Peripetics is a piece in six acts that each entail an imagination of disoriented systems that take a catastrophic turn, including the evolution of educational plant-body-machine models and liquid building materials.